It’s time to get your own Virtual Server, no more sharing with random websites you’ve never know. However, one should be careful with what is getting. It could be a lot of work to migrate once again, if the resources aren’t exactly what they should be, or if the system simply doesn’t work well on a certain VPS. Learn how to make a responsible purchase, according to priceless instructions. It’s time to buy a decent VPS server, either to start a new project or to migrate from a shared hosting. The latter has many limitations and may even be bringing issues to a growing business. Taking the decision is an important step, but the anxiety may result in many problems. 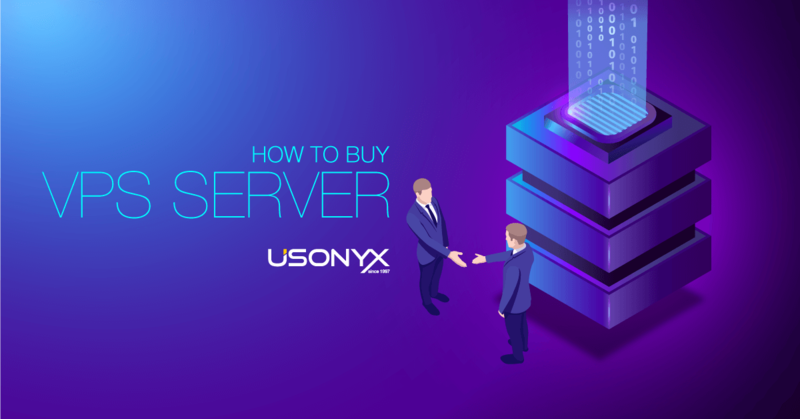 Before picking the company that offers the best price and starting off, it’s important to consider many aspects and understand how to buy a VPS server correctly. Way beyond simply paying and starting to build the infrastructure with set-ups and software, there are many aspects to be considered. There are so many options in the market that one should patiently read them thoroughly, to make sure every single aspect of the setting matches their needs. The operating system is usually Linux or Windows, and the user may have to install it and configure. The storage should have enough room not only for page files, but also to host every single software to be installed. The CPU should be powerful enough to handle the traffic and the processes within the database. Look for unlimited bandwidth for a reasonable price too, as errors for traffic load aren’t good for the business. Besides that, enough RAM that could be upgraded also plays an important role here. When buying a VPS, it’s important to decide how far one’s knowledge on host management goes. Every single aspect regarding the setup will be on your account. Study first or trust you own abilities to handle the beginning or the issues that may appear and troubleshot any problems. Being honest about the lack of ability is the first step towards hiring management. Paying a little bit more to have the server handling errors may be worth it, for those who have no experience on administrating their own server. The service provider continues to be responsible for a few things, even when it’s not managed by them. The physical servers must be kept online and in good conditions. In the case anything happens, they should be able to provide support and do as much as it’s within their range of obligations. Therefore, before buying a VPS server, make sure that the support options are easy to use and quick to solve problems, besides the offer of services that can be used individually, such as backup service. Considering the amount of resources to be used by a website, besides if it was your choice to pick the self-management or managed option, the price may vary. By taking into account the possibility of paying for a minimum 12-month subscription, the prices start a bit below 10 dollars for each month and may go up to 80 dollars, considering the most common options for a VPS. Choosing the best package is important to make sure you are paying just enough, not too much and also not too little that it could have insufficient resources. Also, taking a longer subscription because of the price may not be the best option every time. It depends on how long the project should take and the probability of working well. For tests, it’s better to pick cheapest options or even trying a free solution, limited in certain aspects depending on the host company, until being sure of what is needed. Now that every detail related to the purchase of a VPS server is explained, it’s time to finally choose an option. There are dozens of companies offering similar products. A good strategy is to visit specialized review websites, which shouldn’t be receiving any money or sponsorship from VPS hosts, to take a look about what other webmasters and people like you have to say. Access comparing tables that separate features and resources in a very organized way, easing the comparison between your options. It reduces a lot the chance of making mistakes, for forgetting about a detail or two. Pick the favorite VPS server options, open the Plans page and analyze each one of them carefully. There are exclusive aspects that may be offered for a few extra bucks. They could be helpful or simply be adding a cost that is not necessary, therefore adding no value to the purchase. Now that the best company has been chosen and you have a VPS in mind, it’s time to buy your newest server. It’s almost impossible to find a serious and quality company that doesn’t offer varied payment options. From transfers using banks or intermediary websites to credit cards, they usually offer the most common options so that they don’t lose a single deal. Keep in mind that it will be a monthly or annual subscription, and using an easy payment method is crucial, to not lose time and even patience trying to pay for the service. It could even cost the website’s uptime, depending on how long the host may allow the service to function, if you miss the due date. With all this information, it’s time to buy your own VPS server. Process these loads of information, separate enough money for a subscription and get ready, to commit yourself to your own server. Manage it concerned in turning it into a robust machine and free from failures.